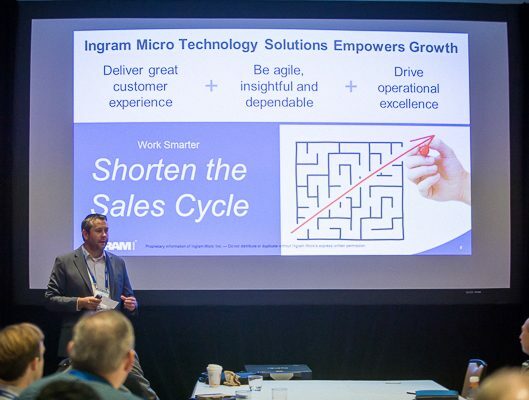 After its first Total Tech Summit, Ingram Micro is building its client base and is making big plans for its return to the event. Entering into last year’s Total Tech Summit, Ingram Micro did not know what to expect. After the company’s first experience there, the team is looking forward to returning to the event with an ambitious game plan in mind. Ingram Micro is a distributor delivering a full spectrum of global technology and supply chain services to businesses around the world. The company represents approximately 1,700 suppliers, including names like Apple, Microsoft and Samsung, and serves more than 200,000 customers in approximately 160 countries. Despite the massive reach of the business, company leaders wanted to continue to grow its brand recognition and expand its customer base. So, they turned to the Total Tech Summit, purchasing a package that included two boardroom presentations and one-on-one meetings. “We’ve done one-on-one meetings in the past at other events and this was the first and only event we’ve ever been to where every single person showed up,” says Ingram Micro senior marketing services manager Donna Suen. 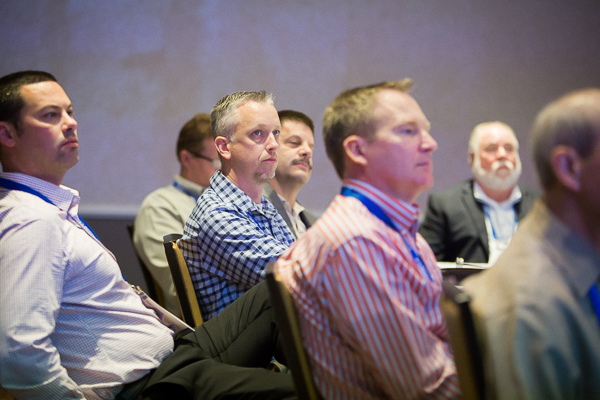 Because of the detailed guest profiles presented to each sponsor, Ingram Micro was able to tailor its presentations specifically for each set of guests. Suen says she was pleased with the quality of meetings she and her team had in not only the one-on-one meetings, but also their two boardroom presentations, which were aided by guest data profiles that are provided to each sponsoring company, featuring details about each meeting attendee such as their company’s annual revenue, its number of employees and the technologies it uses. Because of those profiles, Suen says the Ingram Micro team was able to tweak its presentations to specially tailor them for each audience group. She believes that approach helped them better connect with those guests, and has led to them creating several new accounts they didn’t have before the event. Since then, the company has closed one contract and has maintained contact with several others with deals in the pipeline. After the success of their inaugural Total Tech Summit, the Ingram team is gearing up for next year with bigger plans in mind. Now that the company has a better understanding of the event, Suen and her team are looking to impress the attendees even more. Even on its own last year, the Ingram Micro team found great value in the event and is making it a priority on its calendar.